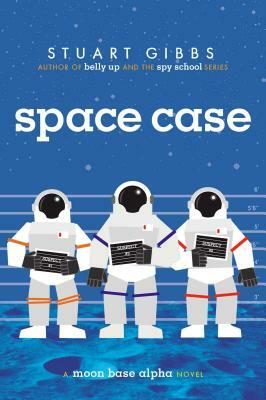 It’s a murder mystery on the moon in this humorous and suspenseful space adventure from the author of Belly Up and Spy School. *STARRED REVIEW* "The whodunit is smartly paced and intricately plotted. Best of all, the reveal is actually worth all the buildup. Thrillers too often fly off the rails in their final moments, but the author's steady hand keeps everything here on track. Fully absorbing." "This zany sci-fi/adventure/murder mystery won't sit around gathering moondust, especially with such an eye-catching cover! ; highly recommended for your middle-grade mystery collection." "Recommended as a breezy read, especially for the budding space scientist." "Whipsmart space whodunnit touts research, brains over brawn."